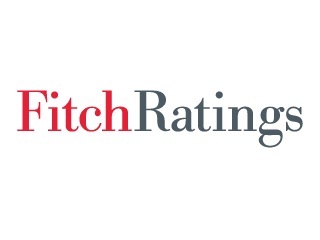 Mumbai/Singapore: The performance of India’s state bank sector remained challenged in FY15 (to end-March 2015), with continued pressure on asset quality and weak capital, according to Fitch Ratings’ Indian Banks Report Card FY15 published on 6 July. Capital needs are likely to increase substantially each year up until FY19. There are few indications of a meaningful recovery in earnings in the short term, though stressed assets are likely to have peaked and NPL accretion is easing. A difficult year for Indian banks in FY15 was characterised by weak credit demand despite a gradually improving macro picture. State banks in particular continued to face asset-quality pressures, falling profitability and weakened capitalisation on an adjusted basis. System-wide loan growth, at 9.7%, was the lowest over the past decade, and concentrated mainly in retail and farm credit. The system NPL ratio rose to 4.6% of total assets from 4.1% in FY14, though the bulk of the deterioration was accounted for by restructured loans, as expected. Consequently, the broader stressed-assets ratio (which includes performing restructured loans) spiked to 11.1%, from 10%. Asset-quality pressures continued to be much higher for the state banks, as reflected in distinctly higher NPL ratios. Capital buffers have consequently deteriorated owing to the continued growth in NPLs and low provisioning. Indian banks’ reported Tier 1 capital adequacy ratio improved to 9.7% (up from 9.3% in FY14), while the gap between private and state banks’ Tier 1 ratios widened to 440bp. Capital requirements for the system are substantial, and a particular problem for state banks which require the dominant share. Government’s recent announcement to provide state banks more core equity than budgeted will be positive for stability, but reliance on external capital should remain high with Basel III implementation. Nonetheless, the outlook for FY16 is more positive for Indian bank credit. The system-wide stressed-assets ratio is likely to begin falling against the backdrop of a more favourable economic environment. Gross NPL accretion has already shown signs of deceleration, and we forecast GDP growth to gain momentum and rise to 7.8%. This should also be positive for credit growth as interest rates come down – given what has been surprisingly weak demand for credit. Corporate leverage remains high, and the impact of the large stock of stressed assets is likely to continue hampering profitability.